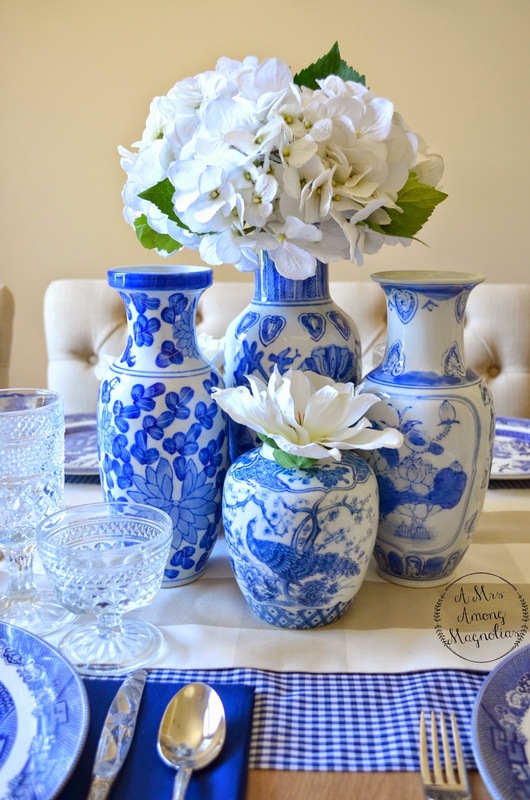 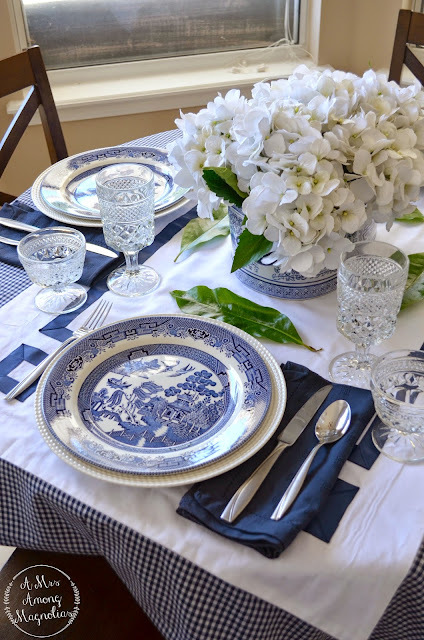 Recently, I hosted a bridal shower at Our Magnolia Home, and since the brides colors are navy and salmon, I decided a Blue and White themed bridal shower would be prefect! 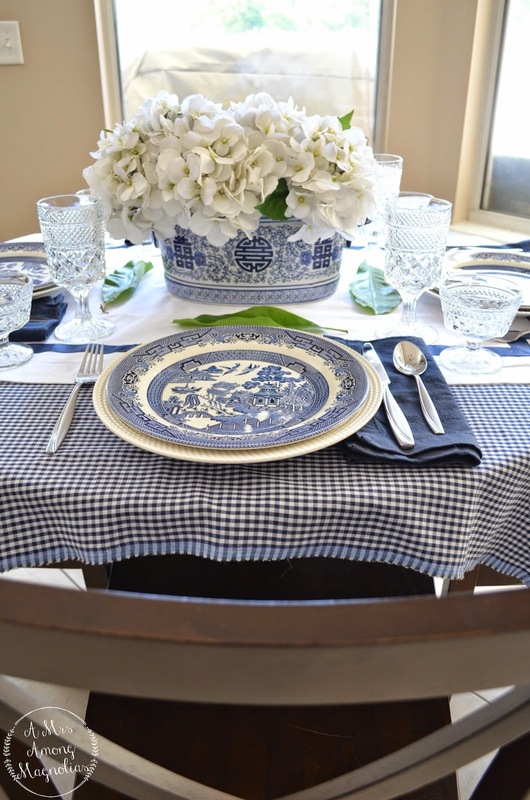 I had the breakfast table and the dining room table set for the shower. My favorite of the two was probably the breakfast table! So, the greek key table runner, is actually one of the king shams from our bedroom, but I think it worked perfectly on the table! 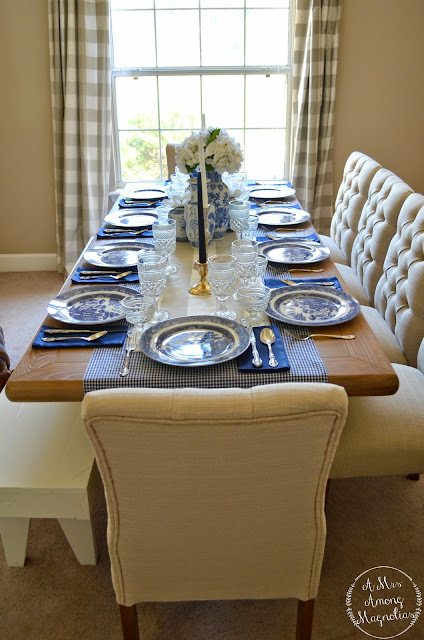 The dining room table decor didn't end up as originally planned, but I do love how it turned out! 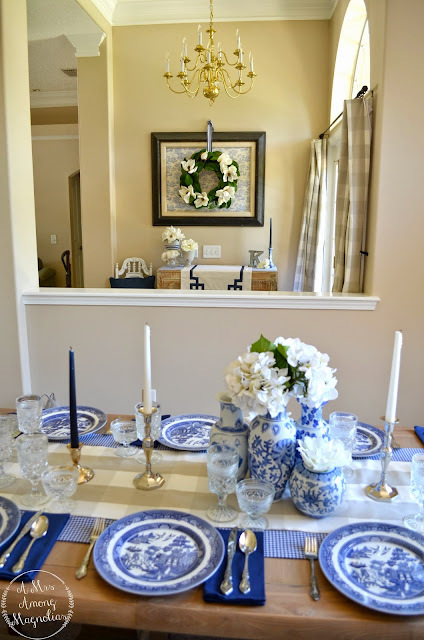 I wish I had gotten more photos of the rest of the decor, but I ended up getting distracted and only got pictures of the 2 tablescapes. 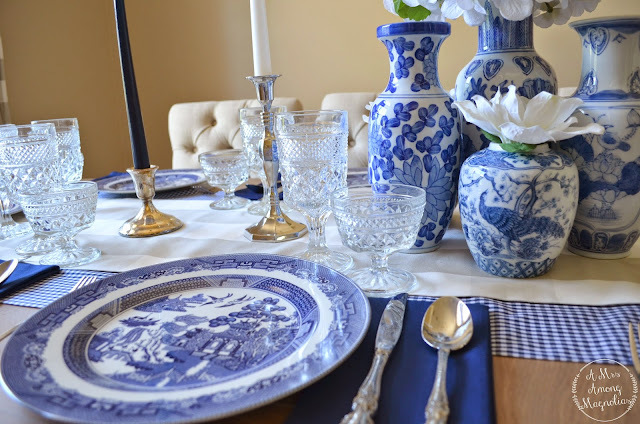 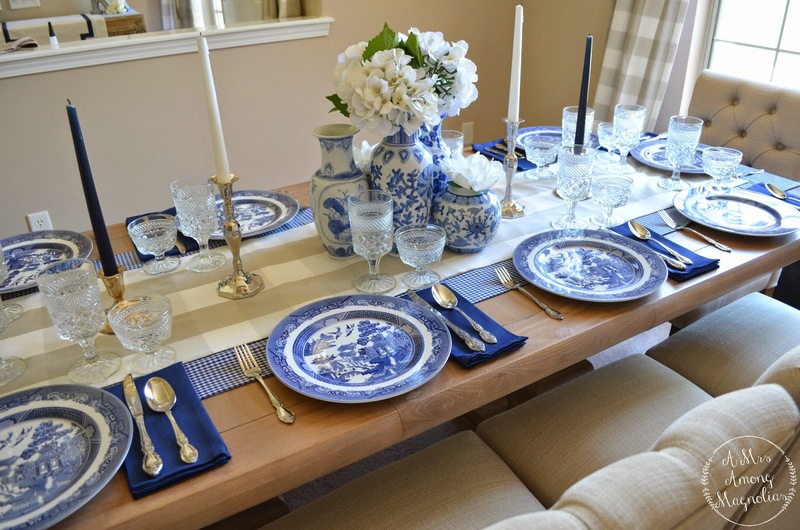 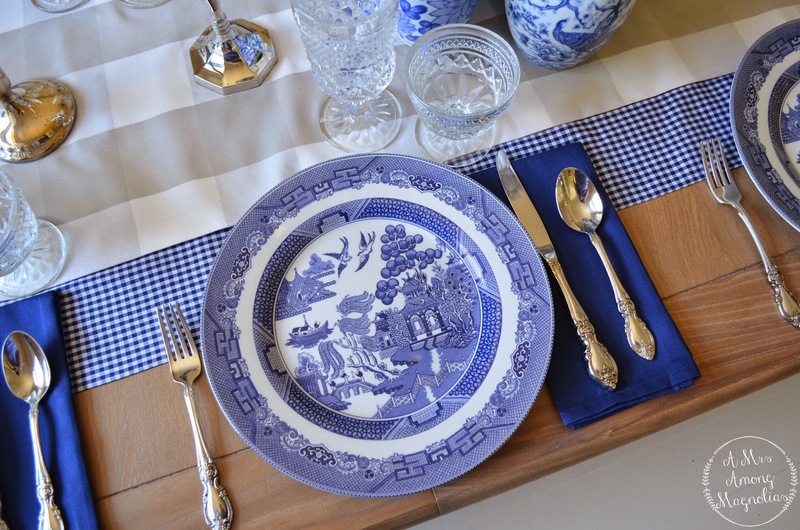 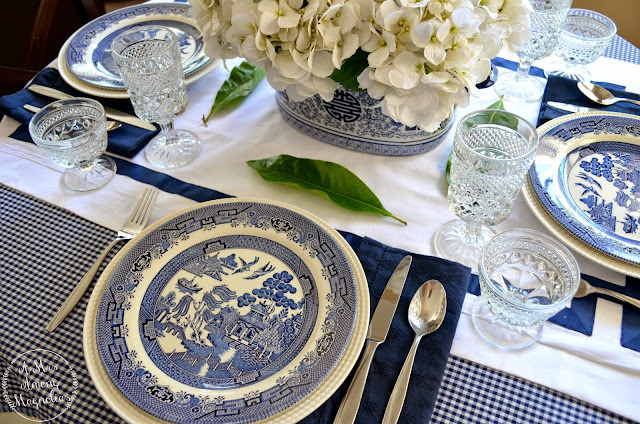 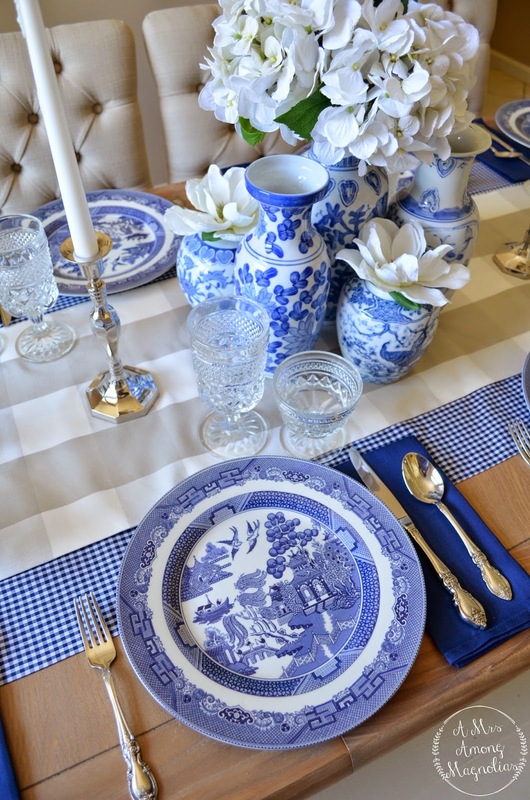 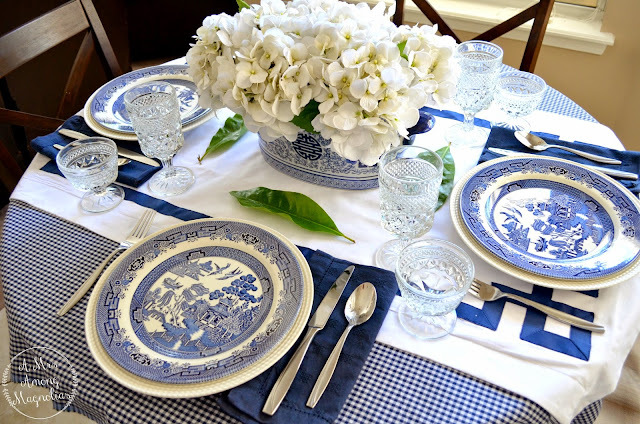 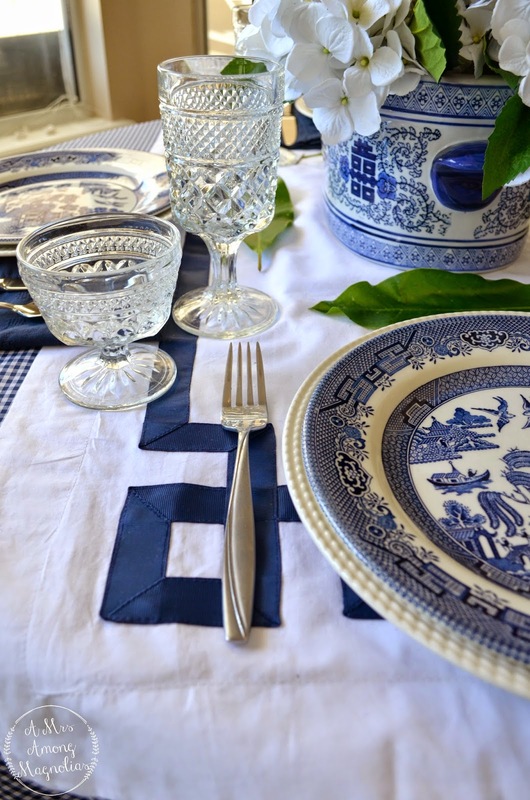 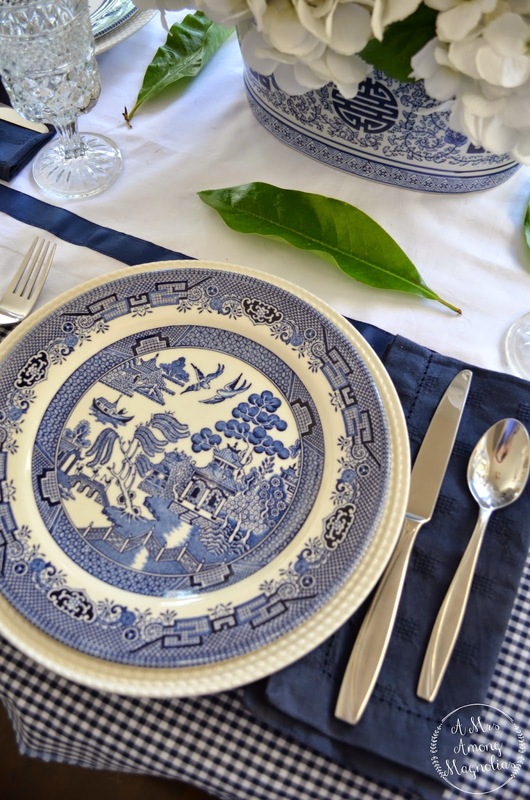 I love all of your tablescapes, but especially the idea of using the King shams!